Did you Back anyone today ? I just backed a Project on Kickstarter this morning. Why did I back a Project ? Because I wanted to help someone reach its goal and produce their invention and also because the product is great. The project is called Thermodo. 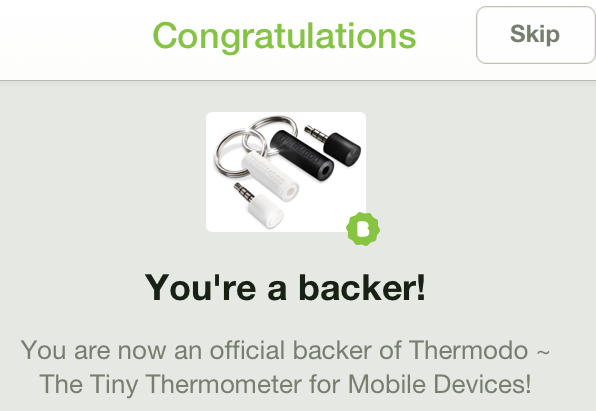 It is a keyring thermometer that you plug into the jack of your iPhone to give the temperature wherever you are. 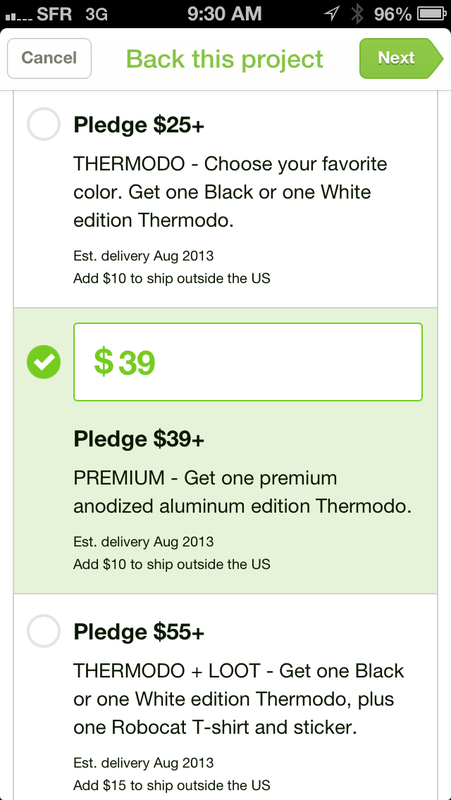 I took the Pledge $39 which gives me the right to receive a “Premium anodized Thermodo“. It should be delivered in August 2013. 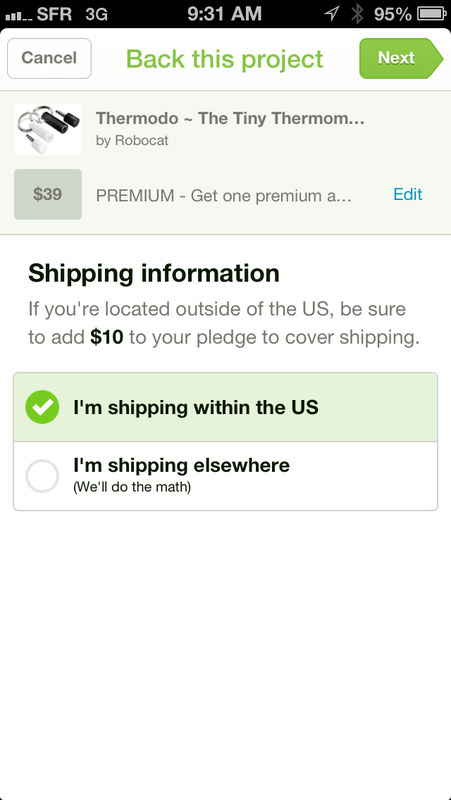 By the way I’m Backer#7090th (Backer#1879 for the Premium package)! 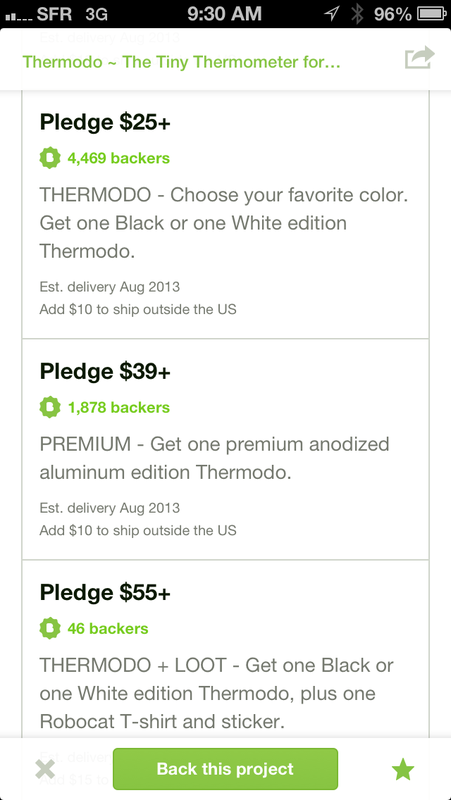 The campaign for Thermodo will end on April 9th. What do you think about CrowdFunding ? Did you back a Project yet or do you plan to ?